The Wasp 60100 can build models up to 39 inches tall and remember the build process in the case of power failure. 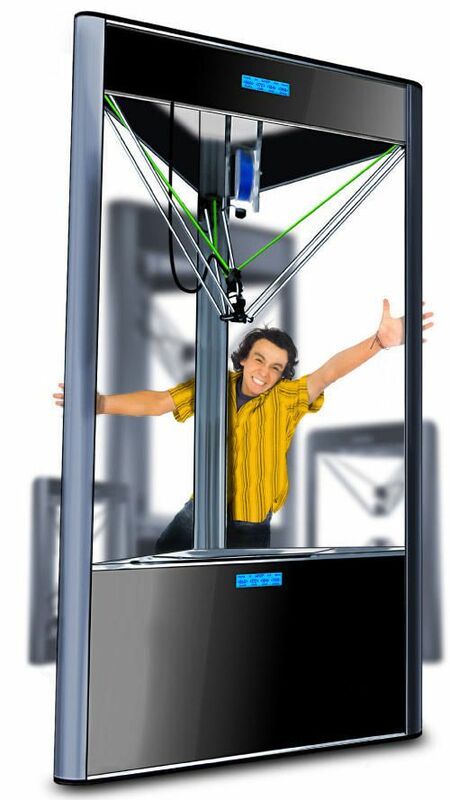 The Wasp Turbo 60100 3D Printer has a maximum speed of 600 mm/s, a massive print volume of 282 Liters, and extreme accuracy and many unique features, the Wasp Turbo 60100 is a world-class precision engineered machine, suitable for all of the print jobs that other machines just can't do. Variable Speed and Temperature DURING print! *Resurrection System: In the event of the loss of power, or the need to move your 3D printer mid-print arises, you can simply turn the machine off. When you turn the machine back on, you will be able to restart the print just where it left off!